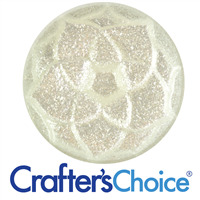 Our Glitters are precision cut polyester particles used to add shimmer and shine to soaps and cosmetics. They are popular in teen products such as body lotion, body glitter, suspension liquid soap, and clear melt and pour soap. 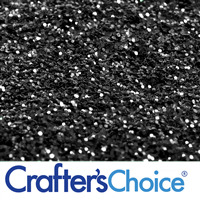 Our Black Glitter - Eco Friendly is the perfect way to add a dark sparkle to soap, makeup and bath products! 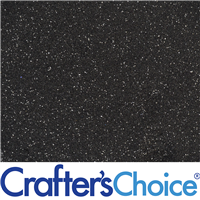 This black biodegradable glitter is perfect for special occasion soaps, halloween bath bombs and much more. 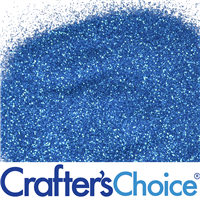 Our Blue Glitter bursts with bright blue color in handmade cosmetics and crafts. This eco friendly glitter is plant based and 100% biodegradable, making it favorable to those who are conscious of the environment. 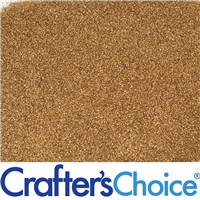 This bronze biodegradable glitter shimmers in the light and is a great addition to handmade cosmetics that need some sparkle! 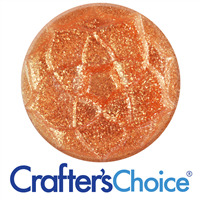 Our Bronze Glitter - Eco Friendly is derived from cellulose making it great for eco-friendly customers. 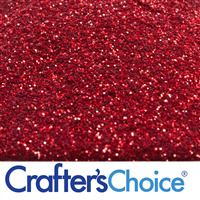 This glitter can be used to beautify soaps, bath bombs and more. 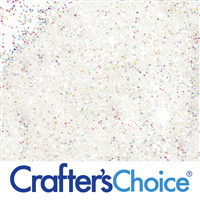 Crafter's Choice Galaxy Glitter is the easiest way to achieve the perfect galactic glitz in your trendy galaxy soaps. 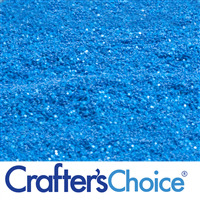 Each time your soapy creations hit the light, they will sparkle like the night sky with this glitter. Consists of aluminum free, precision cut polyester particles. Resistant to solvents, water, UV rays. Maximum temperature exposure 275º F. Not recommended for eye contact. Size: 0.008". This Holographic Gold Glitter is eco friendly because it is cellulose based making it biodegradable. 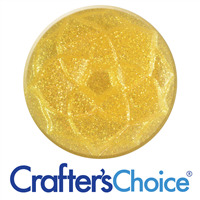 This glitzy gold glitter reflects a rainbow of color in the light, making it a gorgeous addition to tops of soap, body glitter, makeup and more! Not recommended for use in soap because of color separation. 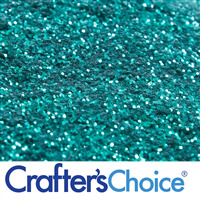 Holographic Silver Glitter - Eco Friendly is 100% biodegradable and derived from plants. 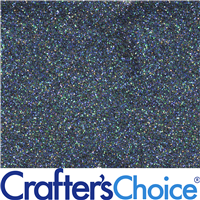 This holographic glitter is silver that sparkles like a rainbow holographic in the light. 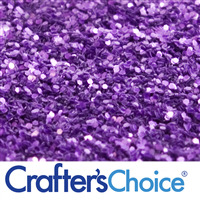 This eco-friendly glitter looks awesome in or on top of soaps and bath products. 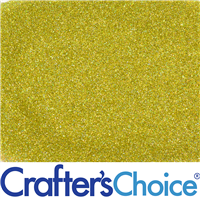 Marigold Yellow Glitter consists of aluminum free, precision cut polyester particles. Resistent to solvents, water, UV rays. Maximum temperature exposure 275º F. Not recommended for eye contact. Size: 0.008". This Eco Friendly Pink Glitter is as pretty as a princess and looks perfect on top of soap and in bath bombs and body glitter! 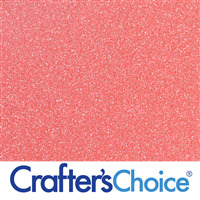 This pretty pink glitter is biodegradable and made from cellulose, making eco friendly and safe to go down the drain. Not recommended for use in soap because of color separation, but looks lovely on top! 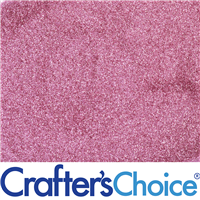 Princess Pink Glitter consists of aluminum free, precision cut polyester particles. Resistant to solvents, water, UV rays. Maximum temperature exposure 275º F. Not recommended for eye contact. Size: 0.008". Super Sparkle Light Gold Mica Powder is a glittering gold cosmetic powder that is safe for many cosmetics. 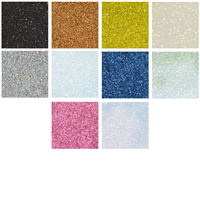 It is blended with biodegradable glitter for an outstanding performance effect. 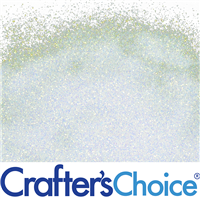 Our super sparkle colors have the largest particle size of the micas we carry making them sparkle. The large particle size may result in the mica falling slightly when used in mp soap. We recommend pouring your soup at a lower temperature to avoid this potential settling. 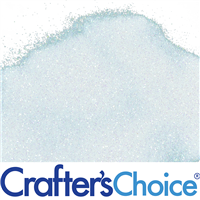 The Eco Friendly Twinkle Blue Glitter is the perfect way to add beautiful sparkle to snowflake soaps, or bath products for any occasion. This white glitter reflects bright blue in the light and is plant based making it 100% biodegradable. 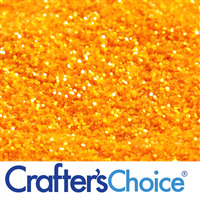 Twinkle Gold Glitter - Eco Friendly is a biodegradable glitter option great for cosmetics and soap. This gorgeous glitter is a sparkly white base with gold that twinkles brightly in the light. Our Eco Friendly Twinkle Green Glitter is white sparkly glitter with flecks of green that twinkles in the light. 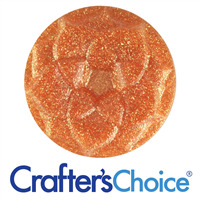 Use this biodegradable glitter in soap, bath products and makeup! Twinkle Rose Gold Glitter - Eco Friendly is plant based and biodegradable, making it perfect for eco-friendly bath products and cosmetics. 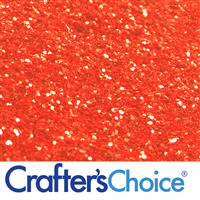 Use this glamorous glitter to add a pop of rose gold to anything that needs some extra sparkle!